Keywords are the foundation not just for organic SEO, but also for pay-per-click advertising. Keywords are essential to attracting the correct audience to your website, pre-qualifying traffic and increasing PPC ROI. However, many brands don’t know how to conduct keyword research, or how to choose the best keywords for their campaigns. It’s tempting to jump into a PPC campaign, but if you don’t do your homework, you could be out hundreds of dollars with little to show for it. It’s not enough to brush keywords aside as an afterthought; you need to get your keyword targeting right. Even though Google and Amazon now offer dynamic keyword targeting tools, you still have to understand keywords as the foundation for your campaign. Plus, knowing how to conduct keyword research helps you make more educated decisions about your campaigns. Through a combination of tools, old-fashioned research, and strategy, you can find the best keywords for your PPC campaign. Brands need to choose PPC keywords through careful strategy. Use this five-step framework to lay the foundation for a successful PPC campaign. 1. What outcome do you want? Every good marketing campaign starts with your desired goal. What do you want to get out of this PPC campaign? By designing with the end in mind, you’re able to be purposeful and strategic with the keywords you choose. This goal keeps you on target so you don’t lose your way. If you aren’t sure about your goal, take a look at your competition. What is everyone else doing? What are they spending? Where do they advertise? What keywords and budget are they using? You can do this research manually or through a paid tool like Spyfu. Once you understand your goal, you need to understand your audience. As marketers, too often we fall into the trap of assigning our goals to our customers without research. The truth is that what our customers need isn’t always what we think they need. That’s why any good PPC keyword strategy looks at the audience, too. Map out your customer’s buying journey. Design a funnel to help you drill down and choose the right keywords for your target customer based on where they are in their buying journey. Customer research gives you empathy for the buying process; think of it as insight into your customers’ pain points and real needs. This helps you write targeted keywords based on reality, not speculation. Most brands jump straight to brainstorming a list of keywords. While this is tempting, the first two steps help you built a long-term keyword strategy to make the most of your ad spend. Here are a few ways brands can brainstorm a list of keywords. Remember, use your SMART goal and customer research as a lens to keep you on the right track. Use the content on your website and social media to brainstorm keywords. You can use keyword density analysis tools to scrape your site’s pages for potential keywords. This will help you identify any keywords you’re already using. How do people arrive at your site right now? Use Google Analytics to see what queries bring people to your site. In Google Analytics, go to Acquisition > Search Console > Queries. You can even see what they’re searching for on your site, too. Go to Behavior > Site search > Overview. Short keywords tend to have lower buying intent than long-tail. They also tend to have higher CPC costs. While keywords help you target certain customers, negative keywords help you avoid certain customers or queries. They’re a great way to define how you don’t want people to find your brand. Branded keywords: Bid for your brand name as well as the brand names of your competitors. Keyword variations: Don’t forget to include phrase variations in your keywords. For example, users can search for either “sofa” or “couch.” You need to target both. Intent: Words like “buy,” “sale,” or “delivery” have more purchase intent than other keywords. Make sure to add these to your keywords. After you’ve brainstormed your list, it’s time to narrow it down. You’ll need a keyword research tool like Google Keyword Planner to narrow down which keywords have the most value for your campaign. Keyword Planner helps you check search volume for keywords, as well as their level of competition. The holy grail for marketers is to find a keyword with high search traffic and low competition. This means you don’t have to spend as much per click to get your ad seen. Plug your keywords in and trim any with low or nonexistent traffic. Next, find a balance between keywords based on their level of competition and the number of monthly searches. It’s healthy to shoot for a balance. For instance, don’t go all-in on keywords with high competition keywords; this will decimate your budget. You’ve eliminated unnecessary keywords and now you’re left with the phrases most relevant to your campaign. After you have your list of keywords, group them by interest, product, subject, or service. If your client is a software company, you would create a different ad group for each separate offering, for example. Use this layout to create your ad groups. Now it’s time to plug the keywords into your campaign and see how they perform. While setting up your campaign, be sure to designate proper keyword match types based on your campaign goals. Once you’ve set up your campaign, don’t let it run on autopilot. Use the high-quality reporting tools that come natively on platforms like Google Ads and Amazon Ads. Let the campaign run for 30 days. After that time, analyze which keywords work, which need optimization, and which can be paused. This helps you adjust your strategy as you go, which is critical in a world where consumer tastes change so frequently. 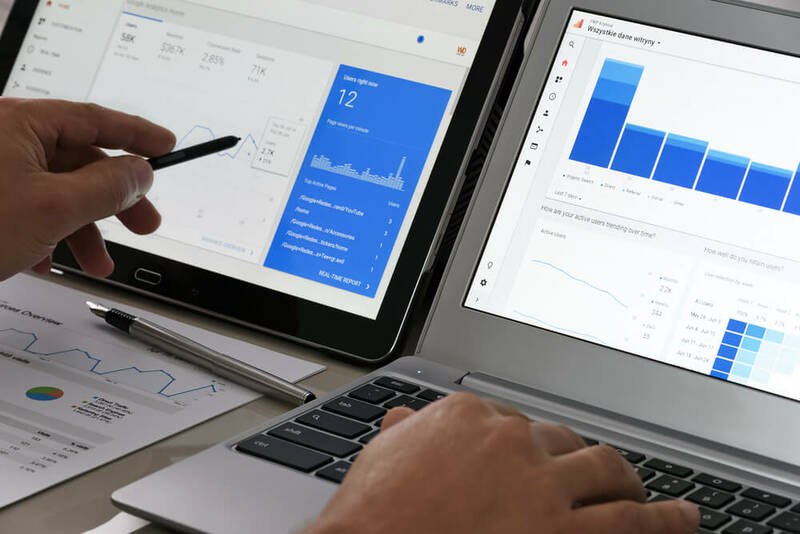 Once you master this five-step process, don’t be afraid to customize PPC strategy your brand’s needs. Keywords are a tool that helps you get the most out of your campaigns; use them to your full advantage to maximize PPC returns. We know keyword research can be a complex process. Our team of PPC pros are at your beck and call to build your PPC strategy from scratch. Chat with Logical Media Group now for a personalized brainstorming session.